For Amazing Start of New year 2018, Bane Tech has joined hands with various members of Android Community to offer Giveaway of Tech Prizes worth over $2000. In this Giveaway, You can win various Tech Products like Free mobile, TV, Watch, etc of Different brands. There are total 14 prizes to be won in this Tech Giveaway. We have added a complete list of Prizes names along with Steps to enter in Giveaway below in the Post. So Go ahead and participate in the Giveaway. 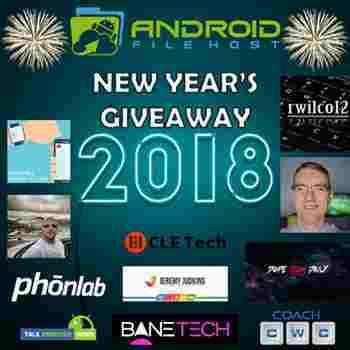 Bane Tech along with AndroidFileHost, Coach CWC, PhonLab, Jeremy Judkins, rwilco12, EpicDroid, CLETech, Dope Tech Daily, Jordan Keyes, Talk Android News, TK Bay, Wearable Notifications is offering this New Year 2018 Tech Giveaway. You can get a chance to win 1 out 14 prizes worth over $2000 free of cost. 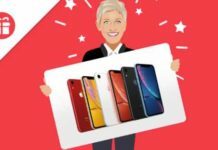 In order to enter Big Tech Giveaway, Visit Giveaway Page and scroll the page to get Giveaway Widget. Now login via email or any of your Social Media Account. 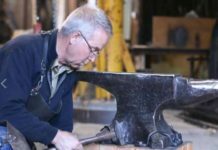 You will see 27 tasks to Enter in Giveaway. 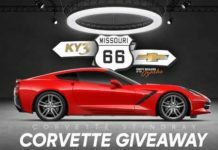 Complete any of these tasks to enter the Giveaway. You can also increase your chance to win by completing remaining tasks. Good Luck! Winners will be chosen randomly and notified by Email and results will also announce AndroidFileHost Twitter Page & Gleam.io Landing Page.